You may also review our Sample Agendas page for more ideas. Learn powerful techniques that can make a real impact on the Hill with support from the media, press briefings and conferences. Course topics include the use of technology, development of rapid issue response and the importance of timing. Instructors explore how Congress really works and ways to better understand the environment, organization and language of Capitol Hill. This program defines the many stages of the legislative process, specifically how legislation is crafted on Capitol Hill. This course discusses the U.S. House of Representatives and how its rules let a determined majority work its will while the Senate gives each Senator tremendous power and influence. Our instructors examine the political, procedural and technical factors that influence the final outcome -- passage or defeat of legislation. "Having speakers with objective institutional memory was invaluable for gaining perspective on the politics of the legislative process!" staff member, The McAdam Group, Inc.
Our two-hour "Lunch and Learn" sessions offer groups the ability to train staff in a time- and cost-efficient manner. TheCapitol.Net offers several two-hour lunchtime trainings and can cusotmize any of our courses and topics for your organiztion. How forthcoming with information are these institutions? What role does the media play in shaping their policy debate and decisions? A highly regarded political analyst examines the current Congress and briefly reviews the accomplishments and failures of the previous one. This program also explores current power structures in the House and Senate, as well as the personalities and agendas of the major players. Faculty discuss the dynamics of the next election and how it might impact current Congressional power structures. 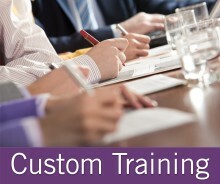 Rave Reviews See what some of the attendees at our custom programs say about our custom training. Fee Program fees depend on the location, number of attendees, length, and training materials. Call us for details, or complete our custom program information request for more information. TheCapitol.Net tailors each program to meet your training and educational objectives. Before we issue a cost proposal, we will work with you to tailor a program to meet your training objectives.